AK, AL, AR, CO, CT, DE, FL, GA, ID, IL, IN, IA, KS, KY, LA, ME, MD, MA, MI, MN, MS, MO, MT, NH, NJ, NM, NY, NC, ND, OH, OK, OR, PA, RI, SC, SD, TN, TX, VT, VA, WA, WV, WI, and WY (USDA, FEIS, 2003). Climate, elevation – Poverty oatgrass inhabits a wide variety of areas, ranging in elevation from coastal regions at sea level to mountainous areas (USDA FEIS 2003). Local occurrence (where, how common) – The species of interest is common throughout Washington State, in various habitats such as prairies and mountains. Habitat preferences – Poverty oatgrass inhabits old fields, pastures, roadsides and woodland margins that have soil that is sand or rocky, low in fertility and low soil moisture (Darbyshire and Cayquette 1989). Poverty oatgrass also inhabits clearcuts, burns, and areas that have been trampled (USDA FEIS 2003). Plant strategy type/successional stage (stress-tolerator, competitor, weedy/colonizer, seral, late successional) – The species of interest is a secondary successor on burned and anthropologically disturbed sites (Philipson 1986). It’s ability to colonize after a disturbance is due to long periods of seed dormancy (Livingston and Allessio 1968). 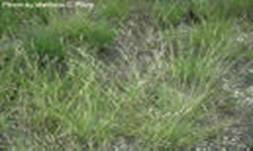 Associated species – Poverty oatgrass inhabits many grass, shrub, and forest habitats. Common prairie associates of poverty oatgrass include lowbush blueberry (Vaccinium angustifolium), goldenrod (Solidago spp. ), bracken fern (Pteridium aquilinum), little bluestem (Schizachyrium scoparium), wheatgrasses (Triticeae), fescues (Festuca spp. ), needlegrasses (Achnatherum spp. ), and bluegrasses (Poa spp.) (USDA, FEIS 2003). Collection restrictions or guidelines – Information not available. Seed germination (needs dormancy breaking?) – Seeds are highly dormant, but germinate readily on exposed mineral soil (Scheiner 1989). Seed life (can be stored, short shelf-life, long shelf-life) – Due to the seeds’ dormancy, seeds may be stored for decades. Propagation recommendations (plant seeds, vegetative parts, cuttings, etc.) – Planting both seeds and tillers has been successful. Soil or medium requirements (inoculum necessary?) – Grows well in sandy or rocky soil with low fertility and low moisture (USDA FEIS 2003). Installation form (form, potential for successful outcomes, cost) – Seeds are the most prolific form of reproduction. Poverty oatgrass is highly self-compatible but also can cross-pollinate (Clay 1983). Recommended planting density – Information not available. Care requirements after installed (water weekly, water once etc.) - Information not available. Normal rate of growth or spread; lifespan – Poverty oatgrass has a population half-life of 2.2 years (Scheiner 1988). Clay, K. 1983. The differential establishment of seedlings from chasmogamous and cleisotogamous flowers in natural populations of the grass Danthonia spciata (L.) Beauv. Ecologia. 57(1/2): 183-188. Livingston, R.B. ; Allessiom L.L. 1968. 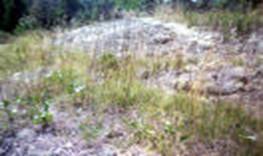 Buried viable seed in successional field and forest stands, Harvard Forest, Massachusetts. Bulletin of the Torrey Botanical Club. 95(1): 58-69. Philipson, M. N. 1986. A re-assessment of the form of reproductin in Danthonia spicata (L.) Beauv. The New Phytologist 103(1): 231-243. Scheiner, S. M. 1988. Populations dynamics of an herbaceous perennial Danthonia spicata during secondary forest succession. The American Midland Naturalist. 119 (2): 268-281. Scheiner, S. M. 1989. Variable selection along a successional gradient. Evolution 43(3): 548-562.